Snapes Project Logistics understands that moving freight is not always simple. We know that picking up and dropping off is not all there is to logistics or moving freight. Not all jobs are as simple as delivering from one point to another. It is not always this straightforward. 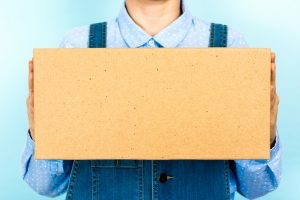 Sometimes freight is sensitive, goods are bulky, or there are time restricted deliveries. Alternatively, you might need interstate distribution, warehousing or white glove services. We understand every step of the supply chain from you to your customers. Our personalised logistics solutions make a difference no matter what you need. At Snapes, we know what it takes to move sensitive equipment and fragile items. It takes good planning, special attention and care while loading, so they do not move while in transit and arrive undamaged. We have the expertise and equipment to transport all your fragile or sensitive goods. Our freight specialists provide personalised logistic solutions to meet your needs. We can provide storage and dispatch facilities when you need them across Australia. The experienced Snapes team is customer focused and innovative. They can plan to move any type of sensitive freight. We can even move loose or bulky items anywhere on time using blanket wrapping to protect it. Our personalised transport solutions provide services to ensure your freight arrives undamaged. Our approach makes a difference to your business. We work with all types of clients from large corporations to small businesses and government departments. Moving all types of freight is our business. We understand different freight needs specialist handling to reach their destination intact. We specialise in moving sensitive freight. Snapes works with project managers, builders, end users and suppliers to develop personalised logistics services. We take a turnkey approach to deliver goods directly to the site. • fragile industrial equipment and robotics that is sensitive to movement. Blanket wrapping is a safe, environmentally friendly, cost-effective way to protect freight while in transit. Warehousing your inventory for delivery to customers is expensive to set up yourself. Keeping inventory on hand is complex and time-consuming. It is an added problem for businesses. The solution is outsourcing inventory management to a third-party logistics (3PL) company. All types of companies and industries can benefit from 3PL services. They can take care of everything to free up your time and capital so you can focus on your core business. Using Snapes as a 3PL warehouse solution, we manage, store and deliver your stock to fill direct orders. We have the expertise and facilities to ensure your stock is handled efficiently. Our warehouse solution provides everything from unloading containers, to long and short-term storage. Our staff can carry out a stocktaking and audits, so you know exactly what stock levels you have on hand. 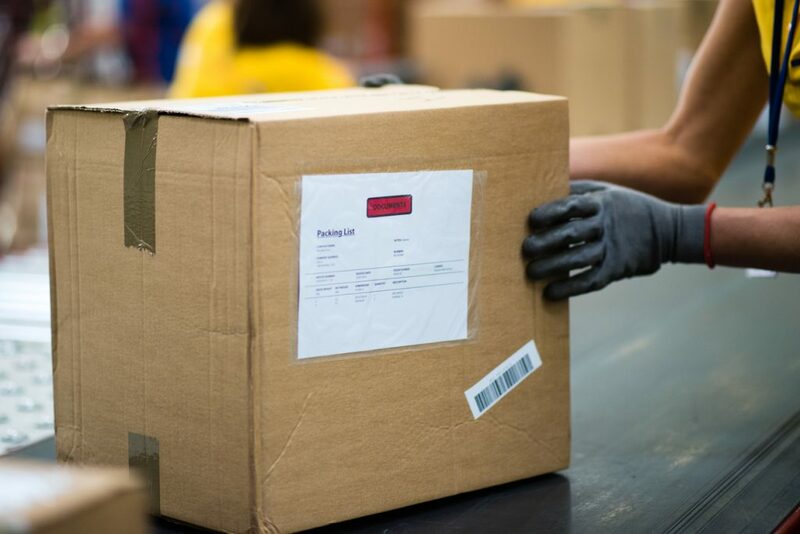 We provide up-to-date records of costs and order fulfilment. Whether you are a manufacturer, importer or supplier, Snapes takes the worry out of inventory management. Our warehouse management system uses real-time data, so you always know exactly what is going on. Using our facilities saves you the expense of setting up your infrastructure and staff to warehouse your stock. This saves you capital expenditure you can use better elsewhere to grow your business. Our personalised logistics solutions take care of everything tailored to meet your needs. We fulfil customer’s orders and ship them directly. With our record keeping, you always know how much stock you have on hand to meet customer demand. Snapes takes the hassle out of managing a warehouse, systems, and staff so that you can leave it in our expert hands. We do it all for you for a cost-effective price. Direct imports, container loads of goods, redelivery, destuffing containers, and short-term storage are common business needs these days. We can load and unload your freight when the need arises in our warehousing facilities across the country. No matter what your business needs. Unloading containers, inspecting your freight, repackaging or reloading it for delivery anywhere in Australia are just some of the things we offer our customers. Our services eliminate doubling handling and reduce the risk of damaged goods. It is costly to replace and redeliver damaged goods, so you want no mistakes. The experienced staff at Snapes gets it right the first time. We save you time, money and worry when we transport your freight around Australia. Our services make a difference to your business. We can even consolidate freight into containers for transport by road or rail for efficiency and cost savings. Whatever you need, Snapes can deliver personalised logistics solutions for your company. No matter where you need furniture moved to in Australia, Snapes Project Logistics can deliver. Snapes provides furniture logistics for fitting out interiors for the commercial market. We can personalise any solution to fit your needs. Whether it be blanket wrapping, warehousing, project management, staging or moving all types of furniture anywhere in Australia, we have the solutions. Our services are innovative and flexible to meet project needs. Our passionate team and customised fleet are fully equipped to move anything you need. Moving furniture from place to place can be daunting, so we design our services to meet the ever-evolving needs of customers. It takes good planning and an innovative team to move furniture, so it arrives in the condition it leaves. Whether you are moving your business or a supplier sending items to customers, you can rely on the Snapes team. No matter what you need, the Snapes delivers on time. We take the worry out of moving whether it is local or across the country. Our team has the knowledge and experience to provide suitable solutions for your business. White glove delivery services are specifically designed for furniture, fittings and equipment fit-outs for hassle-free transport. And, when we arrive at the destination, we set it up ready for immediate use. At Snapes, we customise our delivery services to meet your requirements right from the start. Everyone has different needs. You can pick and choose the services that suit your business. Our staff can oversee container receiving, warehousing, and distribution, delivery, product assembly and staging. We ensure that all details are taken care of in conjunction with our customers and yours. Snapes specialises in commercial fit-outs. We can deliver any furniture direct from the supplier or manufacturer to your commercial site or office. Our team can manage your needs from start to the end of the supply chain to complete commercial fit-outs. We transport everything you need to get the job done from kitchens and workstations to filing cabinets, reception counters and planters. Not only can we deliver everything you need, but our fitout specialists also have years of experience. They can take care of all the practical details. Our staff can unpack, assemble and set everything up according to your floor layout plans. We can work directly with contractors and suppliers. Our services include receiving goods before delivery for storage and staging to ensure everything is in place before we deliver. We even deliver out of hours if you need it. Our staff works all hours to meet your needs. We understand the importance of having everything set up quickly, so it is ready to use. Our expert staff go above and beyond to ensure you are completely satisfied. The unpacking and assembly service we offer means we can set up your commercial premises. We even remove the old packaging and old items, so there is nothing left to do. Everything is ready for you or your customer to start trading. For more than 80 years, Snapes has been building its logistics business. Our staff take on some of the more complex logistics jobs in Australia. We know that every customer has different needs, so we tailor our services to get the job done right for a cost-effective price. Our highly trained staff offer personalised logistics solutions to every customer. At Snapes, we are customer-centric. It is all about you. We deliver top level customer service to ensure everyone is happy with the services we deliver. When you need logistics solutions, talk to our experienced, knowledgeable staff for the best solutions. Contact us on 1800 999 102.